Under extreme conditions methane and water can freeze together to form an unusual crystal. These crystals are rather unoriginally called methane ice or methane clathrate or sometimes given the more interesting name fire ice. Originally we thought methane ice only existed on the outskirts of our solar system, until we found out that there were natural deposits trapped under the sea floor. 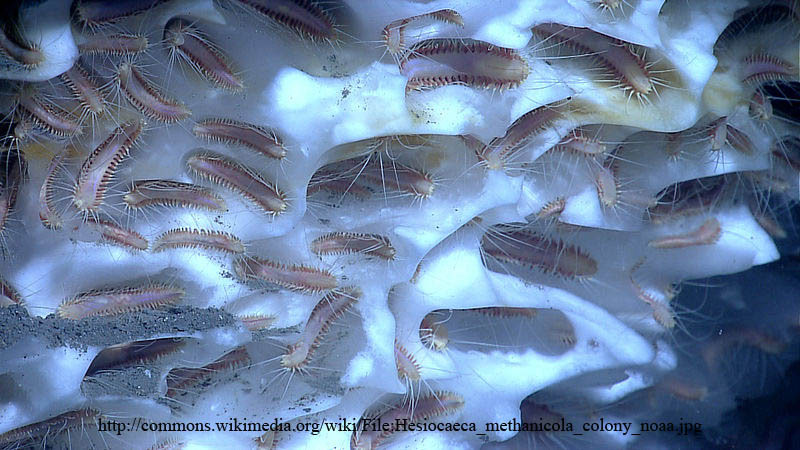 You wouldn't consider these deposits as receptive environments for life in general, but in 1997 Hesiocaeca methanicola was discovered living on top of these crystal deposits in the Gulf of Mexico. These little worms wander around eating bacteria that feed of the unusual chemical environments around the sea ice crystals. A lot of the water they live in lacks dissolved oxygen. 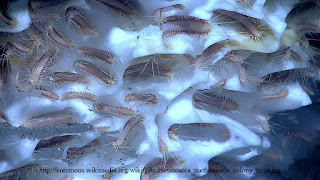 These can survive without oxgen for up to 96 hours. 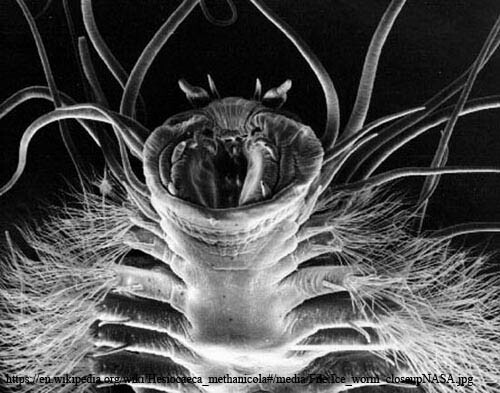 Hesiocaeca methanicola can only be found in methane ice deposits at the bottom of the ocean, but can probably occur anywhere where these are found.